For the petroleum and organic chemical industries. 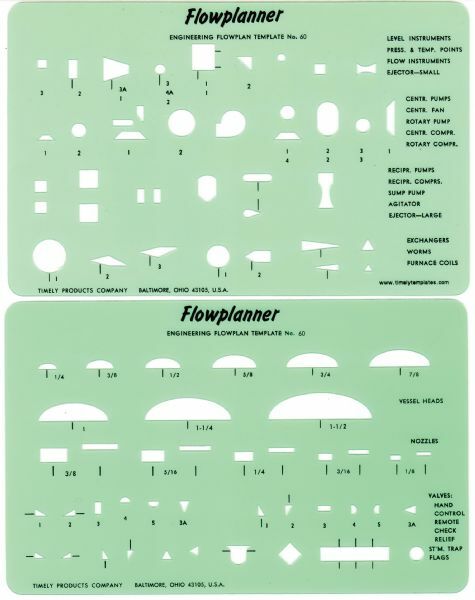 * Includes symbols for flowplans and field reports. * Set of 2 each one is: 4-3/8" x 6 7/8'. Size: 4 3/8" x 6 7/8"
7" x 4.5" x 0.12"